In the 1970’s the computer age was booming. New processor designs were being pushed out by the month, and computers to use them were being designed and outdated just as fast. Not all markets were growing as fast as the American market, or could support the newest, most complex, and expensive designs. Thus, it was common for semiconductor companies to design chips specifically for these markets. Europe was considered one of these markets, where simpler more affordable devices were easier to sell, thus CPUs were made specifically for the European market. Many of these designs are still nearly impossible to find outside of Europe. General Instruments was one such company. Their premier processor, the CP1600, was a 16-bit deign based on the PDP-11. 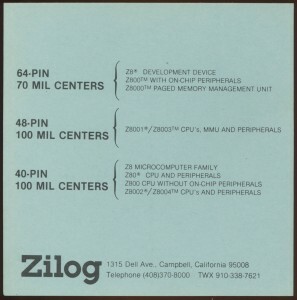 It was one of the first NMOS 16-bit processors (along with the TI9900) and was released in 1975. GI also had the PIC line of 8-bit MCUs for control oriented tasks, which is still in production today. GI wanted a design for the European market so in 1976 released the LP8000, LP for Logic Processor. 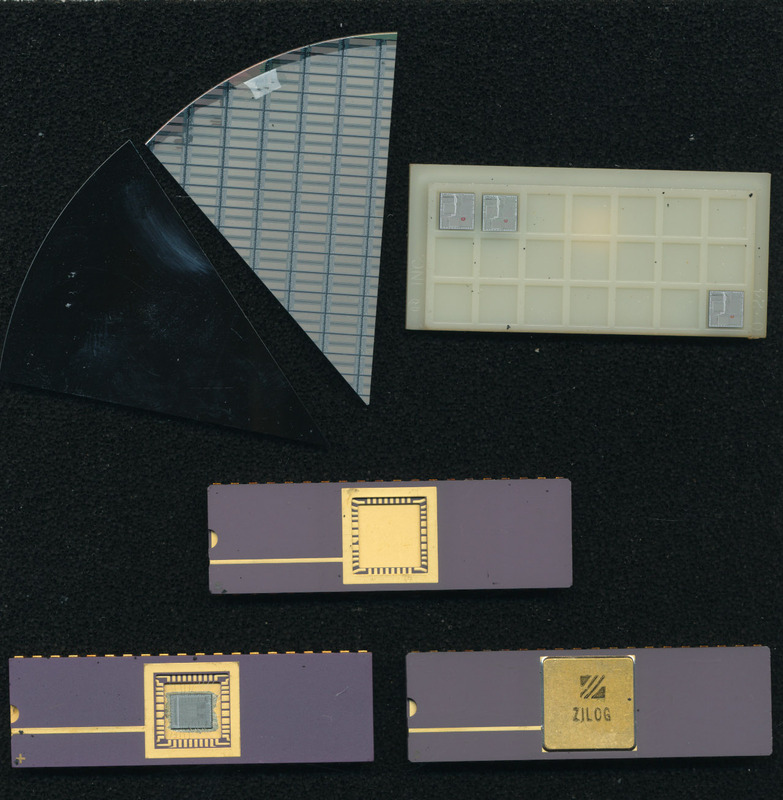 The LP8000 was a 3-chip simple processor and cost a mere $10. It could execute 48 instructions (including ADD, but subtraction was not supported directly) at a clock speed of 800 kHz and was made on a PMOS process. The chipset consisted of the LP8000 processor which contained the ALU and 48 8-bit registers as well as the accumulator a 6-bit address bus and 8-bit of I/O. Combining the 6-bit address and 8-bit I/O busses allowed the LP8000 to directly address 16K of memory. 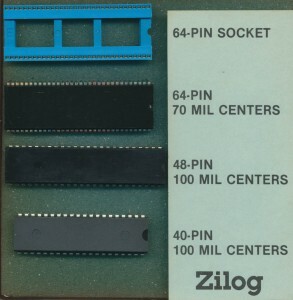 The 11-bit Program Counter was contained off chip, on the LP6000 which also contained an additional 16 lines of I/O and 1K of ROM for program storage. Clock generation was provided by the LP1030 and memory expansion was handled by the LP1000 (which also includes a 11-bit PC for interfacing up to 2K of memory) while the LP1010 handled I/O expansion. In order to be successful in Europe GI needed to find a European partner who could make, market and sell the design. That partner ended up being SGS-Ates of Italy (which later would become ST Microelectronics). SGS-Ates second sourced the LP8000 as the M38 (or M380) series. 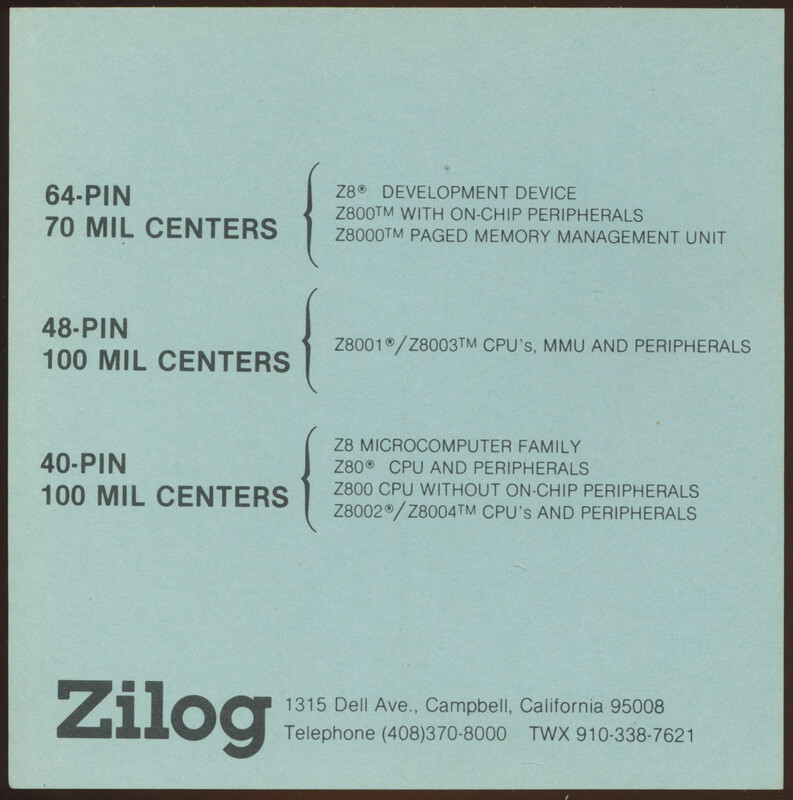 The M380 was the processor element, while the M382 was the 1K ROM equivalent of the LP6000. In addition SGS-Ates made the M381 which had 18 bytes of RAM and 768 bytes of ROM as well as the PC. Like the LP8000 the M380 drew about 1 Watt of power and required a +5V and -12V supply (or a -5V and -17V). 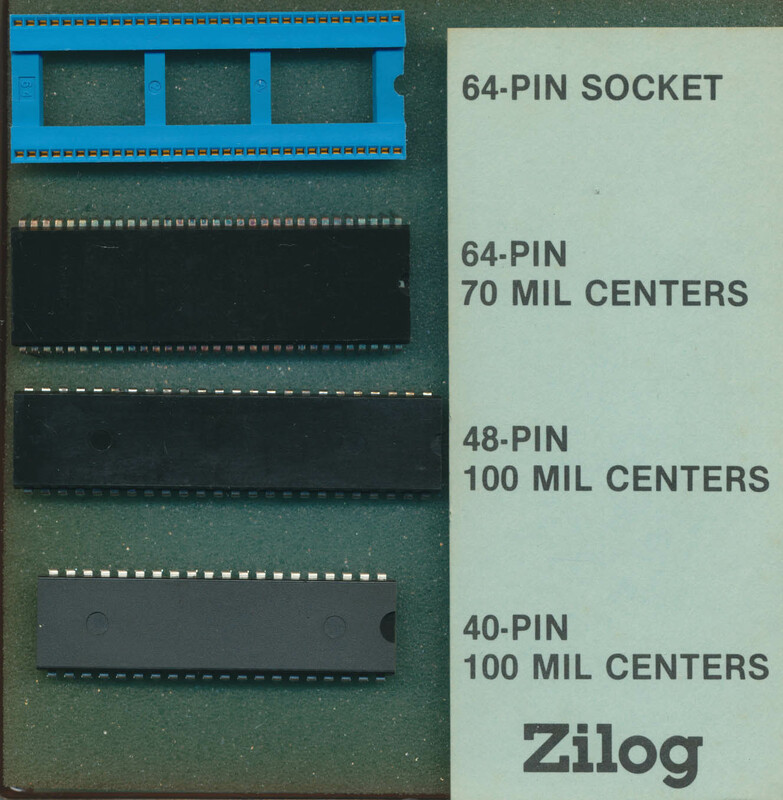 The M380 was rather short lived as SGS-Ates soon licensed the Zilog Z80 which was a much more powerful, yet still inexpensive, design. When SGS-Ates purchased Mostek from United Technologies they added yet another 8-bit design, the F8, which Mostek had licensed from Fairchild. These processors quickly replaced the M380/LP8000 and with no market, it faded into obscurity.